These biscuits are the perfect cross between a biscuit and a flapjack. 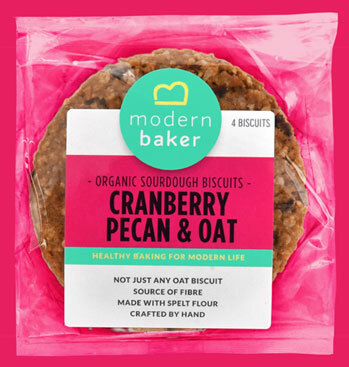 Made with a special sweet oat sourdough, they have a fruity depth of flavour with a delicious buttery feel. A perfect filling snack to tide you over between meals. And naturally, they’re vegan. 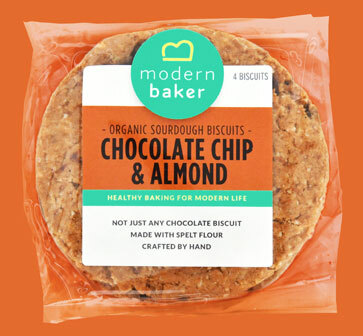 Your favourite chocolate chip biscuits given a Modern Baker twist. These are crunchy and reassuringly familiar. We use chocolate chips (made with coconut sugar) and our special sweet sourdough for the perfect addition to your biscuit tin. Of course, they’re vegan. 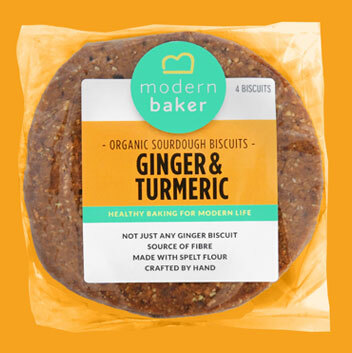 These biscuits taste like your childhood memories of ginger snaps – with a depth of flavour thanks to a combination of spices including ginger (of course), cinnamon and turmeric. 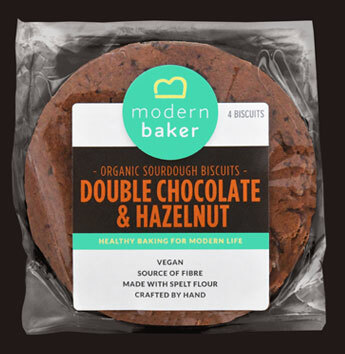 Made with our special sweet sourdough, these are perfect for dunking in a steaming mug of tea for a comforting treat. Dunk away – they’re vegan. These biscuits sound, look and taste super-indulgent, but fermented with our special biscuit sourdough levain and unrefined, coconut sugar they’re indulgent with a hint of virtue. A satisfyingly rich, chocolate treat. 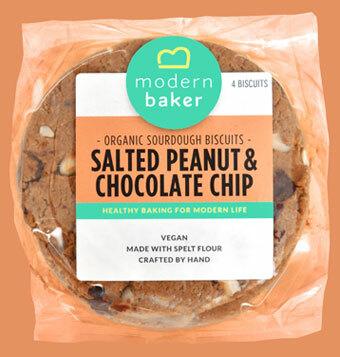 Be indulgent – they’re vegan. Peanuts and chocolate are an iconic combination. Fermented with our special biscuit sourdough levain and an added hint of salt they’re an instant classic. Classic…and vegan.